presents the findings from a large-scale, in-depth research study into teaching methods—knowledge, skills, teaching practices and behaviours—that help to build resilience to extremism. The focus is on teaching methods to be used in a general classroom setting rather than as part of interventions targeted at those deemed at risk of extremism. The research methods used were 10 in-depth case studies of relevant projects and interventions, including interviews with teachers, practitioners and students and classroom observation, a literature review conducted according to systematic principles, and close engagement with 20 academic and other experts in the field… The primary aim of the research was to provide a strong evidence base for schools and other education providers to help them adopt and commission the appropriate interventions to build resilience to extremism. improved academic performance of some pupils, due to their application of interrogatory and analytical approaches in their written work for other subjects. These impacts have the potential to increase young people’s resilience to extremism by equipping them with the ability to think critically and independently. It would have been nice to have this line of thinking ready at hand a few weeks ago when politicians were attacking philosophy. 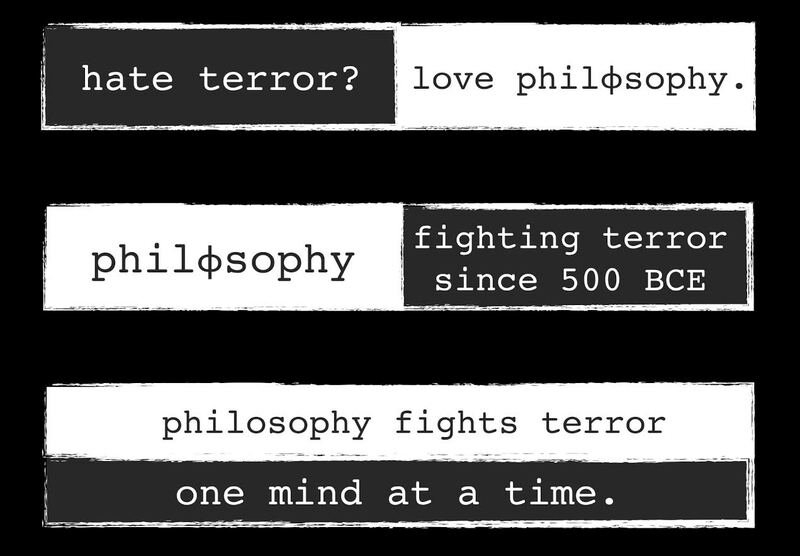 Since extremism (in various religions and ideologies) plays a role in causing terrorism and violence, a new political slogan suggests itself: “Against philosophy? 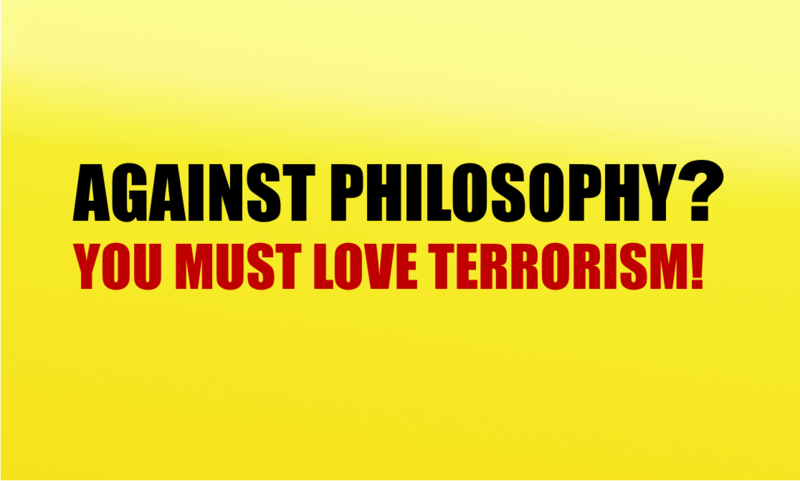 You must love terrorism!” Maybe not as catchy as most other political slogans, but about as sensible.